Wimbledon was in full swing (geddit!?) 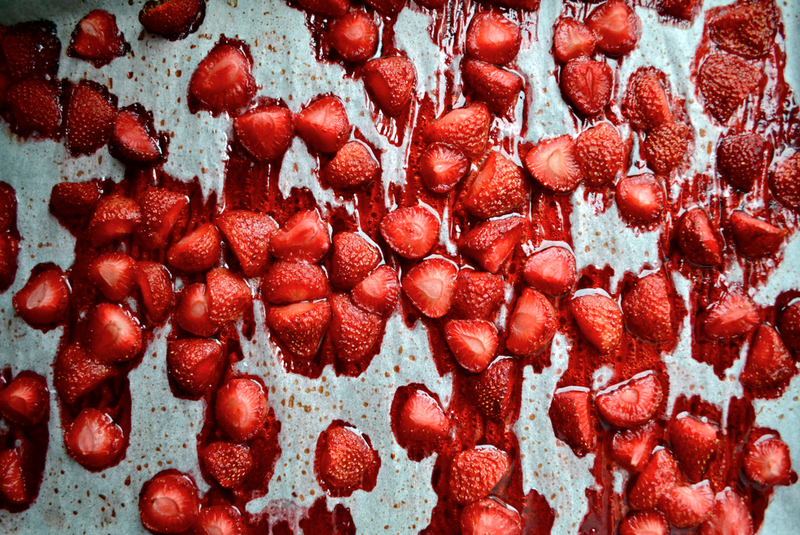 and I wanted to post a recipe offering a little twist on the typical strawberry and cream partnership – so I dreamt up a roasted strawberry and coconut cream ice-cream. Turns out making ice-cream without an ice-cream maker is really not as straightforward as I had hoped and my attempt had to be binned. 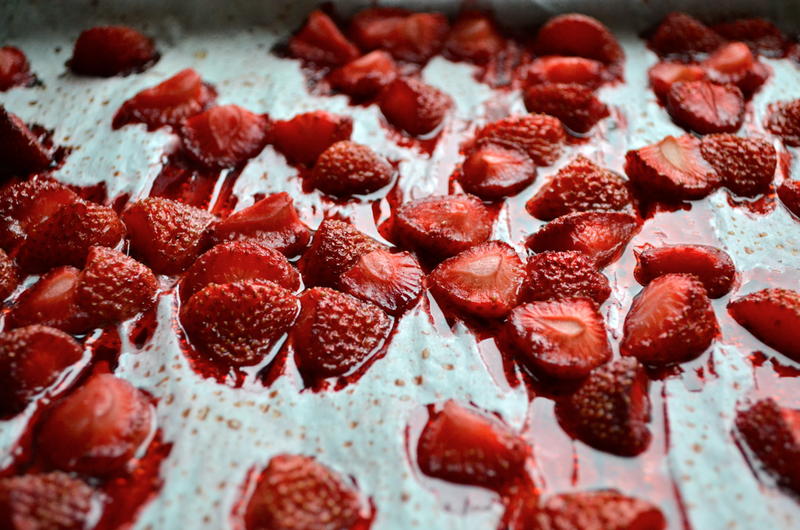 But, I still didn’t want to give up on the idea of incorporating roasted strawberries into a SOTH dish as they were just so tasty. 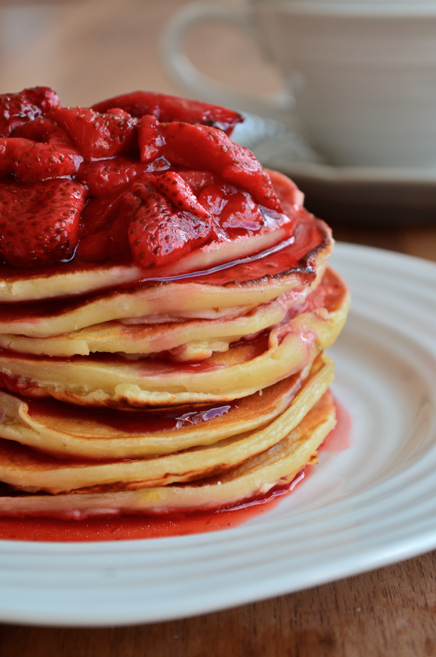 So read on to find a recipe for some scrumptious yoghurt pancakes with the jammiest, deepest strawberriest (sp!) sauce. Feeds 2 exceptionally hungry tummies. Preheat your oven to 180°. Hull the strawberries and slice the larger ones in half lengthways. Place in a bowl with the coconut oil and maple syrup and mix so they’re evenly coated. 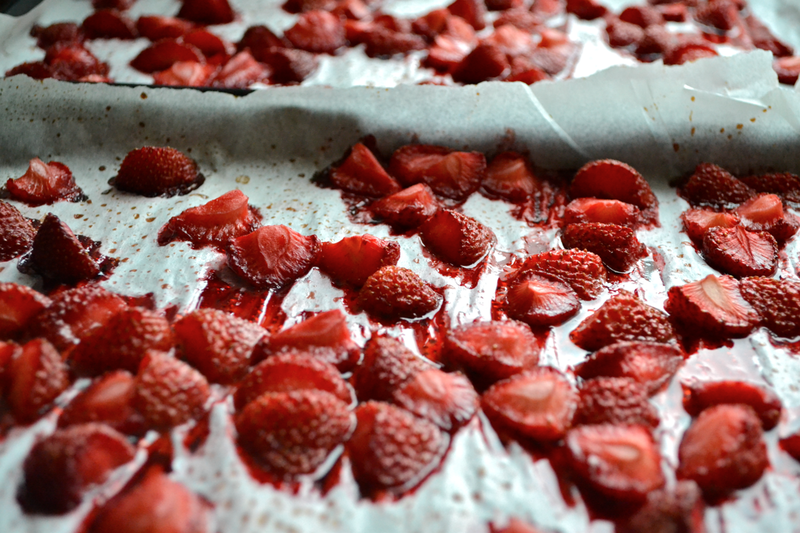 Spread on to two baking sheets lined with greaseproof paper and pop in the oven for 15-20min – until you can see the strawberries are soft and releasing juices but still holding their shape. 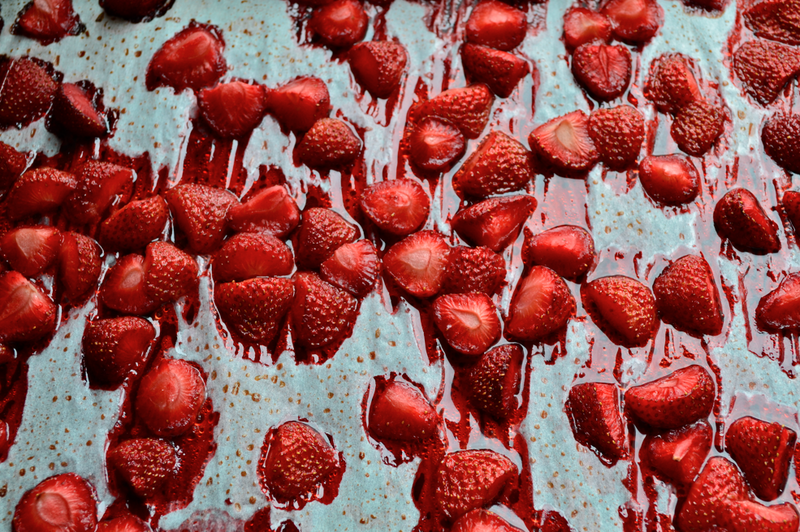 Carefully tip the strawberries and their juices into a bowl and leave to cool down slightly. For the pancake batter, beat the remaining ingredients together. Heat up a frying pan over a medium heat, add a knob of butter or another little bit of coconut oil, and you’re ready to start making your pancakes! Cook them in batches by adding 2 tbsp of batter per pancake to the hot pan and letting them cook for a few minutes on each side. 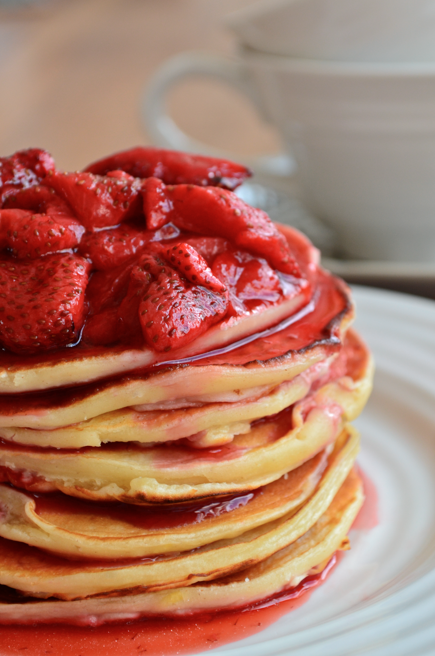 To serve, stack up your pancakes and generously spoon over some of the roasted strawberries. You could even add a dollop of greek yoghurt for some extra freshness. Take a look at my blueberry galette and my apple, berry and almond crumble for some other fruity recipes!